My father absolutely loved and adored animals. They adored him. My mother loved animals enough to know that they were a responsibility, and unless you were prepared to take that on, you shouldn't have a pet. I know that this is a strange introduction about renting with pets, but in the past few months have left me scratching my head (seriously because of the fleas from a bad tenant), about the responsibility tenants have towards their own pets. I understand the disdain some feel towards their landlord, but, I will never understand the blatant neglect of their pet's own needs. As a vet, I imagine a world where everyone loves pets as much as I do, and do everything that needs to be done, and I really struggle with the knowledge the some people just do not care enough. As a veterinarian, I know only too well how awesome our pets are. I know how much love they give us, and I certainly could not imagine a life without my pets. Why, on earth would I, or could I, object to anyone choosing to have a pet as part of their lives? I cannot imagine a life without my cat, Pusski biting my elbow at 4 in the morning, as a wake up reminder that it is time to feed him. Or Pandora, at the vet hospital, going to the water fountain, and then giving me "the look" as if to say "what is taking you so long! Really!" But, when the tenant of my father's house moved out, and I went in, I found myself inundated with little black things that kept me scratching for days. The welts on my arms was embarrassing, and my face puffed up, making me look bloated and uglier than usual. 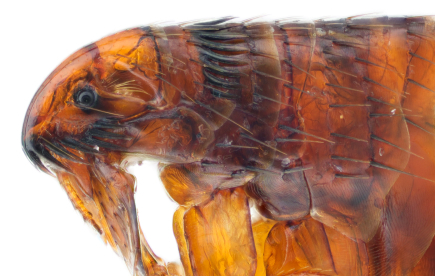 Our pet's fleas aren't awesome! Because, you see, I am allergic to flea bites! And, my father's house, my old family home, is now infested with so many fleas, they even jumped onto the poor Pest Control Guy, from Enviropest (the Wollongong guy is awesome, by the way - highly recommend him). How do you think I felt? The flea infestation is a preventable problem. Owning pets does not mean your house becomes infested with fleas. The majority of my pet owning clients at my vet hospital, speak to me about their flea problems, and we give them advice on what they need to do to solve them. We may not always sell them the product, although we do stock a very broad range of flea control products, we are always happy to give the advice (to those who appreciate it). Simply, there are a lot of effective flea medications, and we are there to help you choose the right one for your pets. Pet owners who rent need to use great flea control! This (now ex) tenant, who claimed to "loooove animals", allowed her pets to have fleas, and then cause such a severe flea plague, that when they weren't there, meant the property could not be entered safely for weeks. And as a vet, I was tolerant of this tenant to the point of allowing her to have more pets than she was supposed to on her lease, because, how could I dislike anyone who had pets? How do you think this is going to make me feel towards allowing renters with pets in the future? Strangely, it doesn't change my opinion about it, but it does change the way I am going to demand proof of responsible pet ownership. No more than one pet - either one dog or one cat. Most households (non renters) only have one pet, so there is no need for you to have five. Microchip Details need to be updated to ensure you satisfy Council laws - Microchipped, registered with up to date contact details. Once you are registered, it costs nothing to change the details. A vet check up each six months of your rental term helps your pet and your landlord - ask your vet for a Health Certificate which you then give to your Landlord stating that your pet is 100% healthy. Most Veterinarians are able to easily issue these Health Certificates, at a nominal charge (alot cheaper than trying to find new accommodation). You have to understand though, that veterinarians can only issue a statement on the adequacy of your preventative care measures, if they had sold you, or administered the stuff on the pet themselves. But then, owning a house is not cheap, and fixing up a problem you create is not cheap for your landlord either. I am Dr Liz, the vet from Russell Vale Animal Clinic. I would love all landlords to allow tenants to keep pets, but tenants need to come to the party too. PS... an update - at the time of posting, the house has been pest free for four months. But we also had to pull up flooring due to it being urine soaked from cat pee! Cat's peeing in unwanted places is a multi - part blog post of its own!